Tax Lien Investing – A Great Opportunity Worth Understanding! Tax lien investing is one of the most misunderstood opportunities in real estate today. In this article I’ll share with you the top 4 questions I’m asked about tax lien investing. Then I’ll share the answers I’ve given students in the past. I’ve heard that tax lien investing can produce up to 50% annual returns and that tax liens are “guaranteed by the government”. Is this true? Let’s start with the first part of the question – the returns that tax lien investing can bring. Yes, technically it’s possible to receive 50%, 100%, or even 1000% returns. However, these figures are misleading because those returns only happen over a very short period of time. For example, if you bought a tax lien for $5000 and received a 10% return on it within one week, because you were paid off, you would technically have a 520% APR return. However, there would probably not be another suitable investment to put that money right back into. This is why national tax lien investors can be successful – they are always bidding at new sales and sometimes can roll over their money many times in a year. The bottom line is, for a small investor, average returns after expenses usually come in at a respectable 8-12% per year. Not bad. However, it’s really not true that tax lien investing is guaranteed by the government. The government does not guarantee that you’ll get your return. Rather, the only source of your return in the event of not getting paid, is to obtain the underlying property. If that property is worthless, or you fail to follow the noticing requirements of the tax sale, you could lose your entire investment. Therefore, tax lien investing is not a passive investment, it requires due diligence and expertise. I’ve seen properties on TV worth hundreds of thousands that investors have purchased “free and clear” for only a few hundred dollars. Is this for real? Certainly, in the entire history of tax sales, some property acquisition like this have been pulled off. However, it’s exceedingly rare that a very valuable property will be acquired for only a few hundred dollars. Most valuable properties (over 95% in fact) redeem before a deed can be acquired. 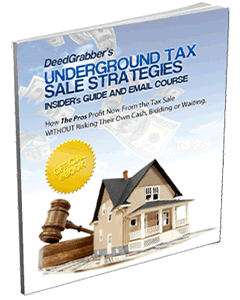 Even then, there are significant legal costs and subsequent taxes that usually must be paid. Finally, most liens on valuable properties are bid up well into the tens of thousands of dollars. Or, the interest rate is bid down to zero. A lottery is even held in some areas to distribute the change to buy a lien. Needless to say, there is not a bunch of low hanging fruit to depend on when tax lien investing. You may be able to get a nice consistent interest rate from tax lien investing. However, you cannot build a business hoping to obtain properties for pennies. Can I do tax lien investing with my IRA? 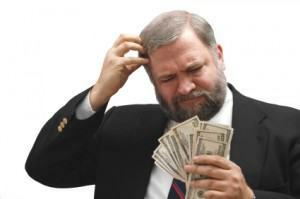 Tax Lien Sales - Do I Know What I'm Doing? Yes you can, with a self-directed IRA account. This is one of the instances where tax lien investing can make sense. If you accept that you’ll mostly be earning interest and not acquiring many properties through your tax lien investing, you’ll do much better. You can grow your IRA much safer and quicker than investing in stocks or CD’s and still get that occasional windfall profit property. Just make sure you have enough money in your IRA to make tax lien investing worthwhile. It usually takes at least $100,000 invested at the higher rates tax lien investing offers, to make it worth all the due diligence you’ll need to perform. With that said, don’t jump in with six figures on your first round of tax lien investing. Buy a few liens and take the time to locate a top-notch attorney to handle your legal work. See how you do on the first round and make sure you’re comfortable with the knowledge you need to protect your investment. If you are happy with your performance, gradually increase your investment at each sale. I’ve seen many people jump in without the required knowledge and lose their entire investment. Tax lien investing sounds like a win-win situation. I either get a bargain property, or a nice return on my money, right? Yes, but only if you know what you’re doing. As mentioned earlier, the only security you have for your tax lien is the underlying property Therefore it’s essential that you make sure it’s worth several times the investment you make in the lien. There are also other pitfalls with due diligence – you need to look at aerial maps of the parcels available to make sure they represent the entire property you think you’re buying. Sometimes you’re only bidding on half a property or even half a house! You also need to keep in mind that there are often delays beyond your control which keep you from getting a deed to your property in the event the redemption period lapses. The county can sometimes take many additional months to issue your deed, and you will usually have to do a quiet title action as well before you sell with title insurance. Do you have several hundred thousand dollars to invest? If you have several hundred thousand dollars to invest, and you’re willing to take an active role in your investment vehicle, tax lien investing can be a great way to go. However, if you’re like most investors who are seeking to obtain free and clear properties for pennies, and don’t have much to invest, I’d suggest going another route: buying at-risk properties directly from the owners. You’ll research which liens sold in the past and have remained unredeemed; then you’ll approach the owners of those properties and offer to purchase for a token amount or at least get the property under contract and flip to an investor. 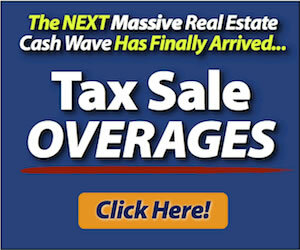 Beats tax lien investing for acquiring property any day!